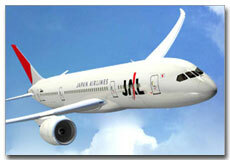 An Airline Alliance is an agreement between two or more airlines to cooperate for the future. The degree of cooperation differs between alliances. The three largest alliances are the Star Alliance, Sky Team and One world. Airlines are to provide its customers with smooth comfortable and charitable ride around the world. Airline Alliances provide a network of connectivity and Convenience for international passengers. Initially Star Alliance is formed with the combined efforts of five top international airlines to ensure the passengers smooth and comfortable traveling experience everywhere in the world. This way the efficiency of the aircrafts also improves. Lower prices due to lowered operational costs for a given route. More departure times to choose from on a given route.